Sun and clouds mixed. High 92F. Winds N at 5 to 10 mph.. Partly cloudy skies. Low 61F. Winds light and variable. 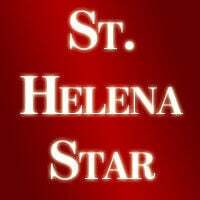 Looks like I hit the trifecta with Mark Smithers, George Caloyannidis and Bill Pramuk taking issue with my letter in the Jan. 31, 2019 St. Helena Star, for having the temerity of challenging Mark Smithers’ unsubstantiated claims of environmental damage caused by vineyards. Unfortunately, these types of specious claims and half-truths are replete throughout Vision 2050 and the Yes on Measure C campaign messaging. Instead of appreciating the progress that growers are making, and their commitment to future progress Mark attacked vineyards, creating a false narrative of environmental ills, even to the point of expressly implying that vineyards cause cancer. This is no way to treat growers, neighbors or friends. You’re not attacking some nameless, faceless “industry;” you’re attacking me and all of the farmers and winemakers trying to make great wine and put bread on the table. I do not understand why you disparage us with half-truths. Name another county in America whose major industry provides such beauty, economic success and environmental consciousness? Yet for some reason that I just don’t understand, that’s not good enough for you, or for Vison 2050, or for the Center for Biological Diversity or for the Sierra Club. Why beat up on us, when we’re succeeding in improving the environment? Neither Garret Buckland nor I ever said “Mission Accomplished.” It is utterly unreasonable to believe that we can correct 150 years of carelessness overnight. If you truly care about the environment you would not be making enemies of those of us who are doing the heavy lifting while you sit on the sidelines and carp. You and every man, woman and child who lives in this Valley share some responsibility for the Napa River being degraded for sediment. Your home was once watershed, you drink the water that once ran in our creeks and your toilet produces pathogens that must be kept out of our water ways. Do you understand that your driveway, sidewalks and roofs, along with streets and parking lots are impervious surfaces that now flash off rain into the Napa River? In the past that rain would have been absorbed into the ground and then slowly released into the River. Now, that rain quickly flashes off into the river, creating an unnatural high-water event that incises the streambanks and those banks then slough off into the River, creating silt. Your letter is a perfect illustration of the siloing, tribalism if you prefer, that has afflicted this county and this country. Positive news signaling an improving environment is rejected and vilified by you and your cohorts, which then validates a profound hatred for Napa Valley farmers and winemakers. Please step out of your silo and take a fresh look at how healthy Napa Valley truly is and realize how that is so fundamentally due to the diligence of the wine industry. For the sake of the Valley’s environmental future please partner with us, instead of attacking us. Objective truth or blind spot?